Our metals for vacuum evaporation. We supply evaporation boats manufactured from tungsten, molybdenum, molybdenum-lanthanum (ML), molybdenum-yttrium oxide (MY) or tantalum. Our evaporation boats offer a good level of electrical conductivity and possess low vapor pressures combined with a very high melting point. When powered on, our boats heat the material for evaporation. During this process, the low vapor pressures of our metals ensure that no tungsten, tantalum or molybdenum particles enter the vapor and penetrate the subsequent layer. Which boat is right for your coating material? Which boat type fits to which coating material? You can find an overview of our evaporation boats and coating materials here. 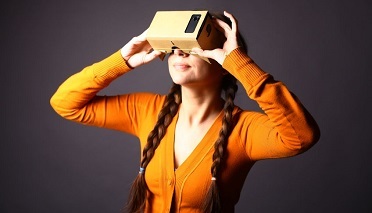 Of course we are also happy to help you individually with your material choice. Do you want to find out more about one of our boats? The item number will tell you. 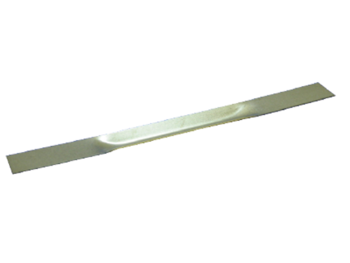 These evaporation boats made of tungsten, molybdenum and tantalum are in stock for you. 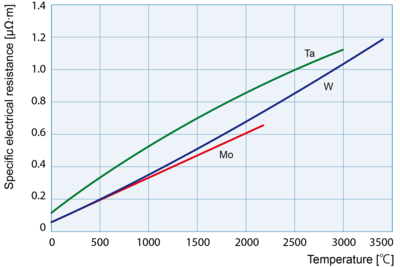 Tungsten: Straight boats. Flat type. 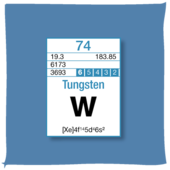 Tungsten is extremely corrosion-resistant in contact with many molten metals and, with the highest melting point of any metal, offers outstanding heat resistance. We use special dopants such as potassium silicate to make the material even more resistant against both corrosion and deformation. 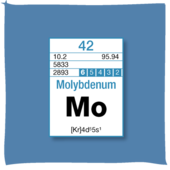 Molybdenum: Straight boats. Flat type. Molybdenum is a particularly stable metal that is also suitable for use at high temperatures. When doped with lanthanum oxide (ML), molybdenum becomes even more ductile and corrosion-resistant. The addition of yttrium oxide (MY) improves the material's machinability. Tantalum: Straight boats. Flat type. 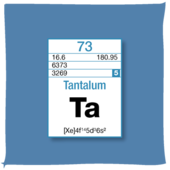 Tantalum has a very low vapor pressure and evaporates extremely slowly. However, the great strength of this material lies in its outstanding resistance to corrosion. And what else do we have for you? 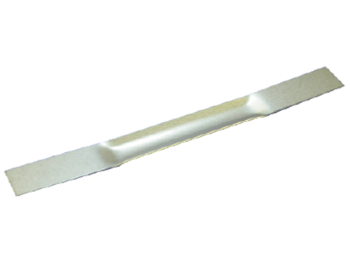 We supply crucible inserts manufactured from molybdenum, tungsten and tantalum for use in electron beam evaporation. 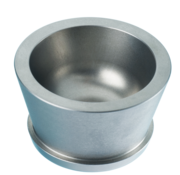 Unlike copper and graphite crucibles, these do not contaminate your evaporation material. 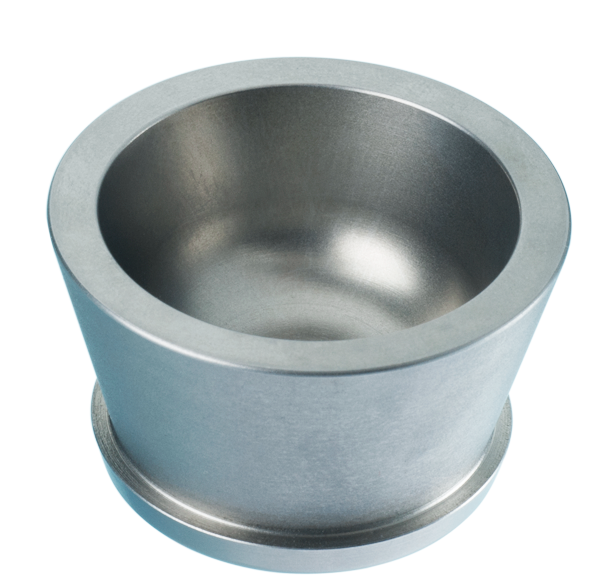 We would be happy to optimize the geometry and material composition of our crucibles for use in your coating process. 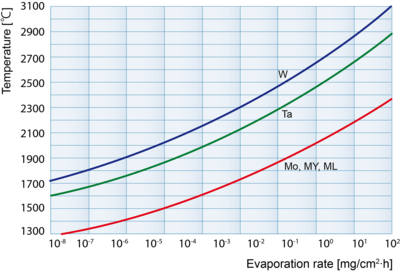 Our tungsten and molybdenum coils are used in electrical resistance evaporation. In the vacuum evaporation process resistant layers are produced, for example, from aluminum, silver, chromium, titanium nitride or silica. The result: gleaming watches, flawless mirrors and top-quality electronic components. 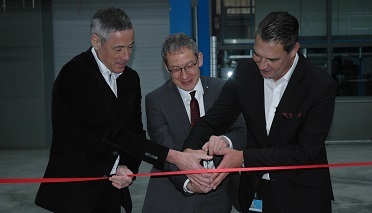 You can be assured of long service lives and a high level of dimensional accuracy: Thanks to our many years of experience, we are able to optimize the material and geometries of our evaporation boats to meet the precise requirements of your processes. We would be very happy to advise you. 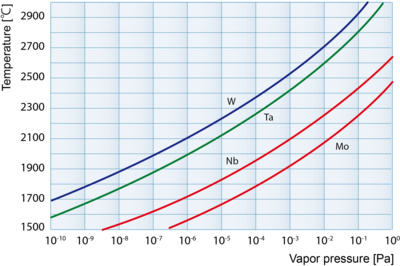 Evaporation rates and vapor pressure. 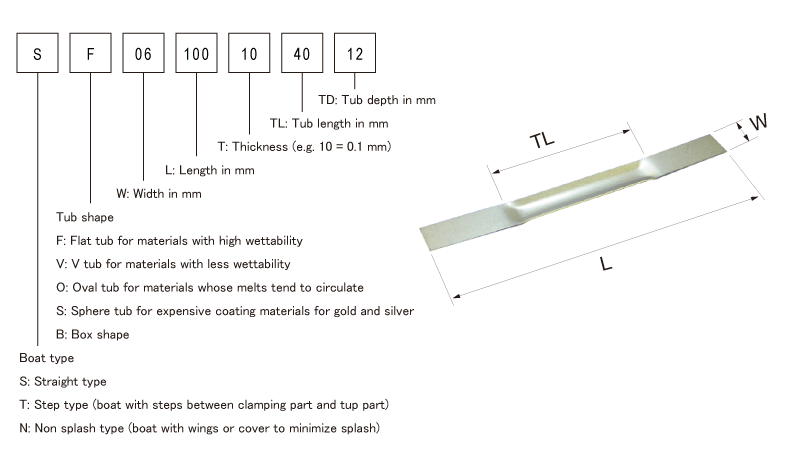 Our materials for evaporation boats have very low evaporation rates at evaporation temperature and an extremely low vapor pressure compared to the coating materials themselves. As a result, no material from the boat ends up in the deposited layer even during long evaporation cycles. The specific electric resistance is an important factor when determining the evaporation sources.